I worked it out, Mac automatically renames the .plugin.zip to .plugin if you don't read the prompts so it had been trying to use the unextracted zip which was named .plugin. Might be worth mentioning on the download page? I have OS Sierra 10.2.15 and AE CC 2017 14.2 according to the splash screen. Here's my plug-in folder layout. 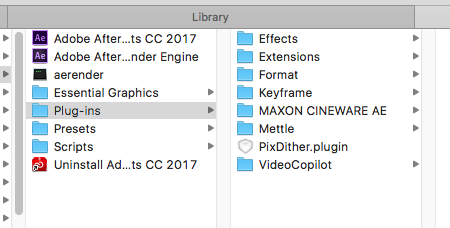 Can't seem to install on Mac AE CC 2017. Get this error on startup. Am I putting it in the wrong folder?